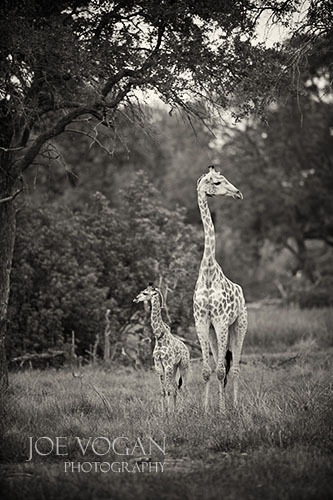 Recently I took a safari trip to Botswana in Southern Africa. It was at the height of the Ebola scare, but the portion of the trip I dreaded was the 16 1/2 hour flight between Atlanta and Johannesburg. At some point, the plane’s pilot mentioned it was the second longest commercial flight in the world, so I made a mental note to avoid that one longer flight if ever given the chance. From South Africa, it was only a couple more hours north to Botswana. Once the logistics of getting to the camps were over, the lodges were very comfortable given the remoteness of the areas visited. It was the start of the rainy season, and the Linyanti River area near the Namibia border was starting to transition quickly to a greener, more dense landscape. 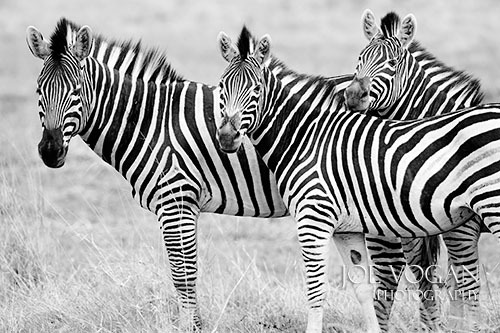 Unlike my experience in East Africa, the number of visitors is more restricted by the Botswana government. This adds to the isolated experience but you are more dependent on the skills of your guide since there are fewer eyes looking for the animals. Fortunately in two of the three camps we had excellent guides and in the other we ended up being very lucky with our sightings. 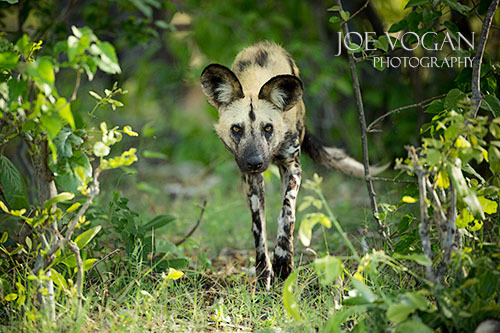 On the game drives, the endangered wild dog seems to excite the guides the most so in the Linyanti area we ended up spending a lot of time following a pack once they were found. But otherwise there were plenty of most of the species you’d expect to see in Africa. At one watering hole in the Okavango Delta we counted over 100 elephants coming and going in the first 15 minutes after stopping. And although there were a variety of big cat sightings, the animal that I missed out on this trip was the cheetah. The time of year (rainy season) also resulted in a wide variety of bird sightings both in the Okavango Delta and in nearby reserves. It’s also a prime time to see newborns and the resulting predation. 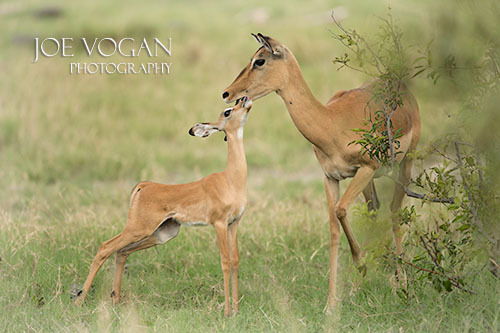 An Impala with her new calf , Okavango Delta, Botswana. During the rainy season, impalas start giving birth to young in large numbers. 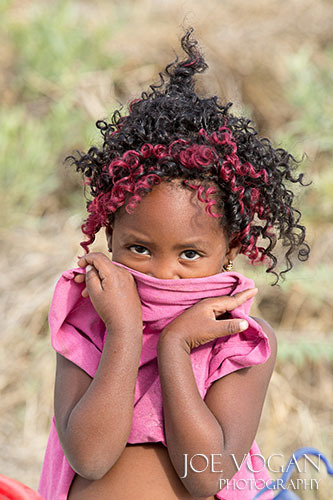 Another difference from Kenya was the lack of tribes such as the Samburu or Masai living in traditional ways. 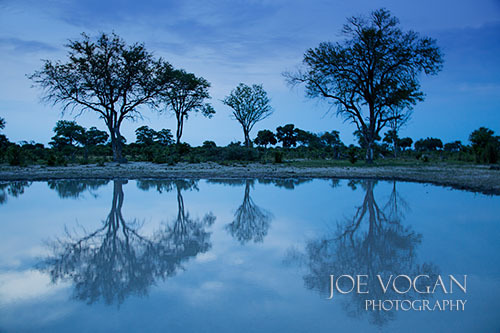 The only village I saw was close to the Khwai River in the Chobe area. But here the families lived mostly in small concrete buildings and wore modern clothing, though there were still a few houses around made up of sticks and straw. 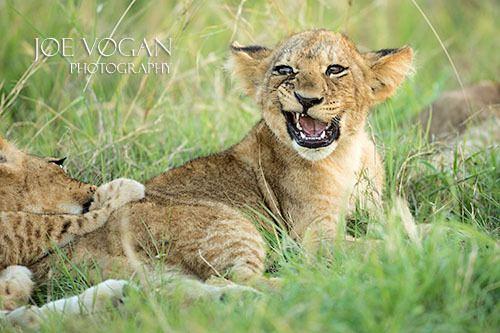 This entry was posted in International Travel and tagged adventure, Africa, animals, Botswana, nature, photography, travel, wild, wildlife by Joe Vogan. Bookmark the permalink.